Fresh Strawberry Pie is so sweet and delicious! 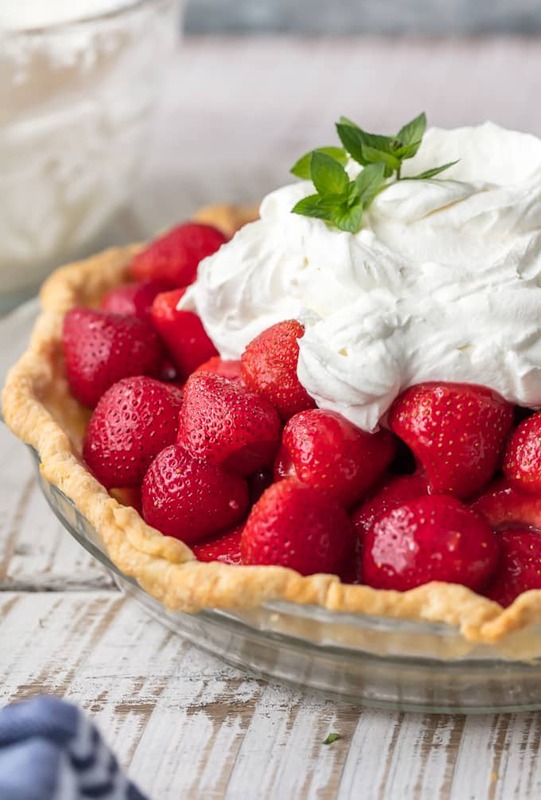 A crispy pie crust filled with fresh strawberries and covered in a glaze and whipped cream. An easy strawberry pie to serve for any celebration. It’s the ultimate gorgeous, delicious, and simple dessert just perfect for every occasion. 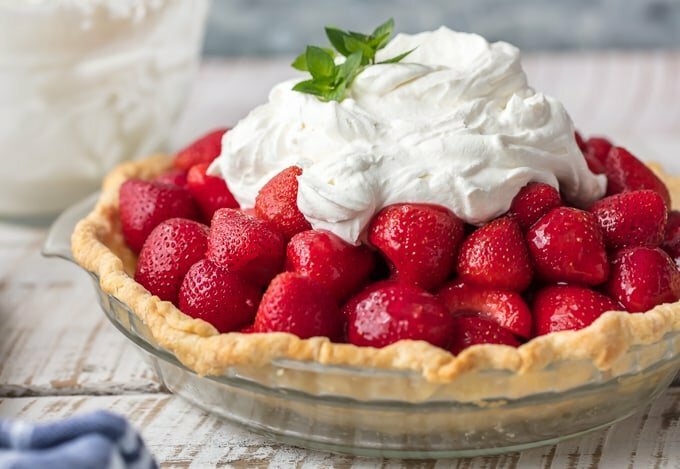 This fresh strawberry pie recipe is super simple and super delicious! I have some exciting news for all you long time readers…SIMPLY SATED (my mom’s awesome blog) IS BACK! 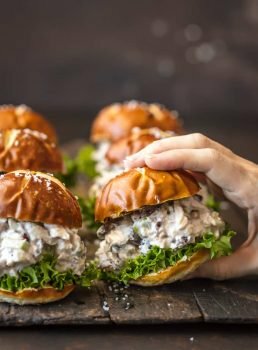 Mom has been helping me since the beginning of The Cookie Rookie, and started her own site a few years ago. This past year their life has been a whirlwind of moving to STL and lots of grandkid time (the best grandma in the world) and the site has been quiet for a bit. BUT SHE IS POSTING AGAIN! 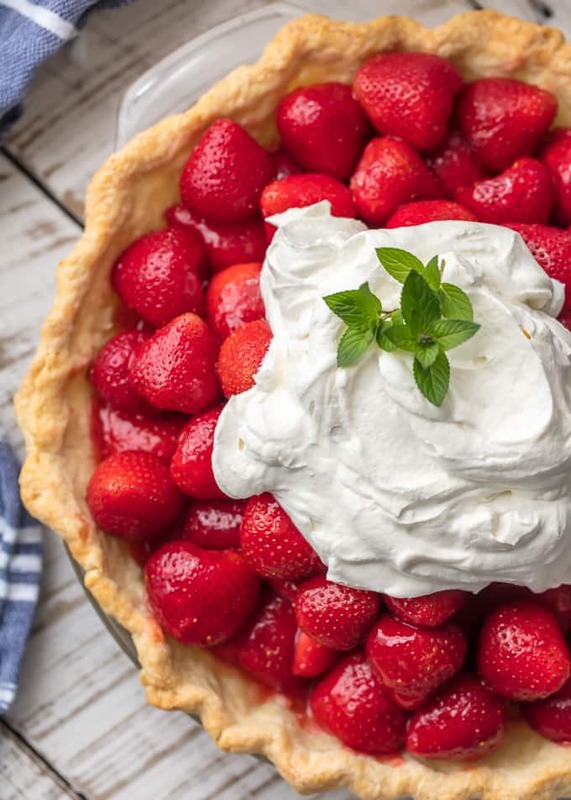 This Fresh Strawberry Pie is her first recipe back, and it couldn’t be more perfect! You guys are in for a treat. 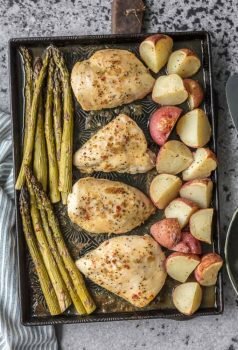 If you like my recipes, you will LOVE mom’s. 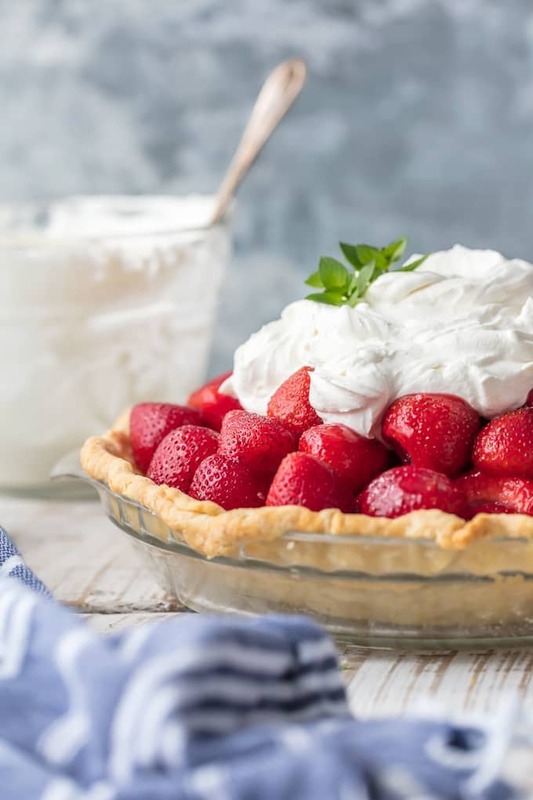 You’re going to love this easy, delicious, and fresh strawberry pie recipe! Is there anything better than easy Strawberry Pie? 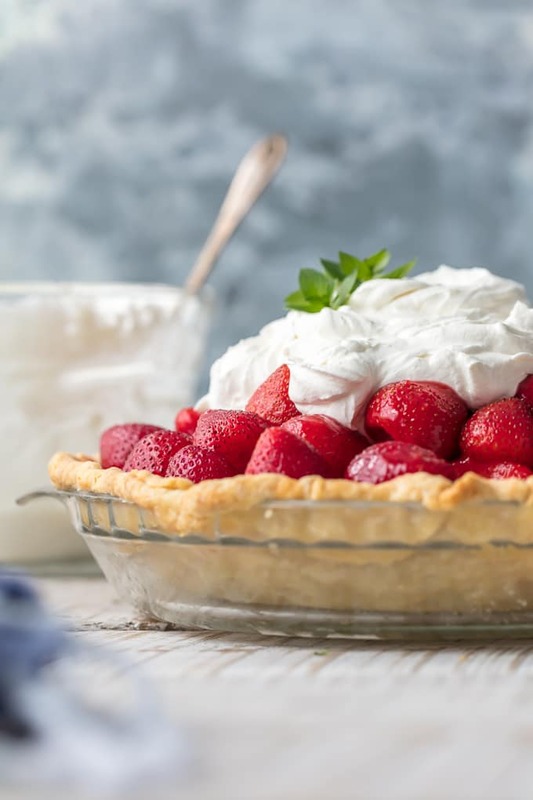 Fresh strawberries coated in delicious glaze, nestled in a buttery and amazing crust, and topped with fresh whipped cream. I MEAN WOW. It’s perfect for Summer but also amazing for any holiday, get together, baby shower, and beyond. It simply doesn’t get better than this! I plan on highlighting a couple of my favorite posts from mom’s site every month and this is the first one. Starting with the BEST and only working up from there! 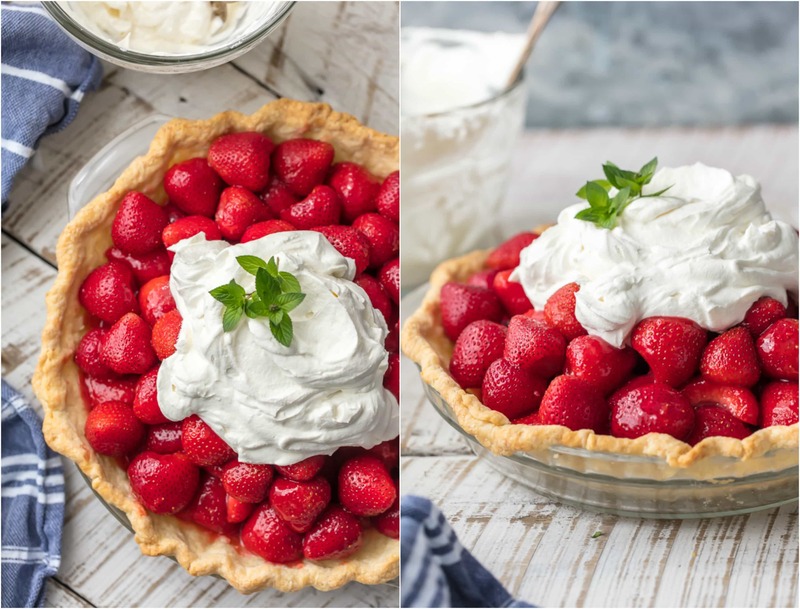 You guys are going to love this amazing, delicious, easy, FRESH strawberry pie recipe! It’s just so good, you won’t be disappointed. Please hop over to her site to see the recipe from this FRESH STRAWBERRY PIE and enjoy! Give her some love.